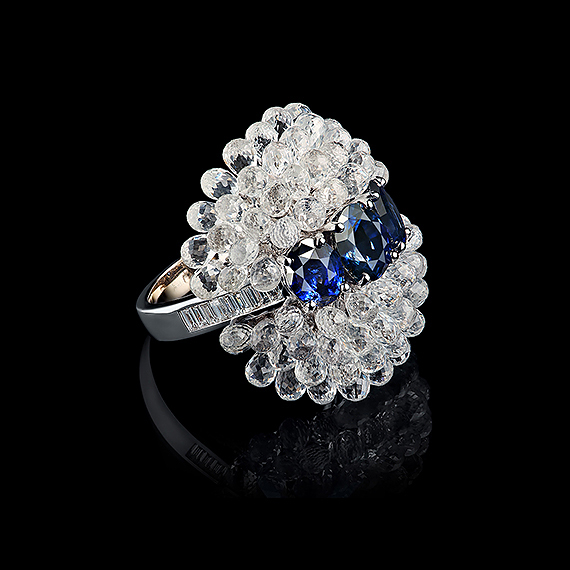 Natural ungraded deep blue sapphires with the common weight of almost 4 carats are surrounded by 74 massive clear briolettes recalls us a glorious sky with rain drops on the middle of it. 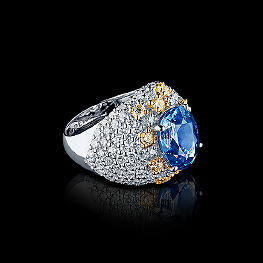 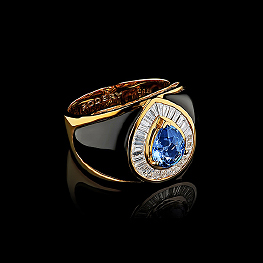 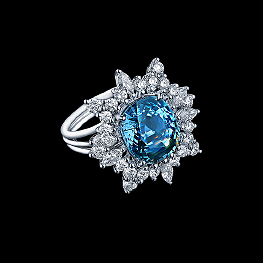 You can gaze at this ring eternal just like Anisakan waterfalls, in honor of which we called this jewelry piece. 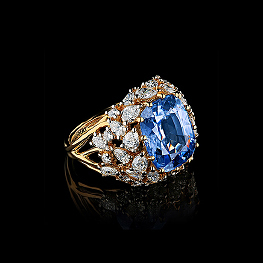 Sapphire has always been considered a precious gemstone long before Christ and Persian leaders believes that the sky has a blue color because of a huge sapphire reflecting on it.